Not many are familar with this wonderful spice land. Here is where you can get a brief yet resourceful rundown on our country Bangladesh. Bangladesh is an independant country boredered by India on the north, east, and west and the Bay of Bengal and Myanmar on the south. It is a low-lying country formed by the Ganga-Brahmaputra River system, which is the largest delta in the world. Bengali food, or in other words Bangladeshi food is very much similar to Indian food, except the spices are incoorporated in each dish differently therefore making the texture and distict falvors unique from traditional Indian Cuisines. 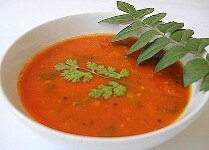 The Bangladeshi cuisine consists mainly of rice, Bortha, Fish, bagi, curry, kitchoori, Biryani, and many others. 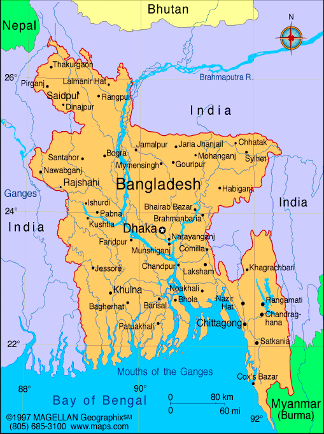 Bangladesh gets its name from the Benglai Language. It literally means the Country of Bengal. Dhaka, the Capital of Bangladesh is the largest city of the counrty. Bangladesh has an estimate population of more than 150 million. The Royal Benglal Tiger is the national animal. Many people have this misconception where they dont think Bangadesh is Indian. The truth is, Bangladesh is an Indian Country! Just as Hawaii is considered to be part of the United States of America. Hence, why we are called Passage to India The Taste of Bangladesh.